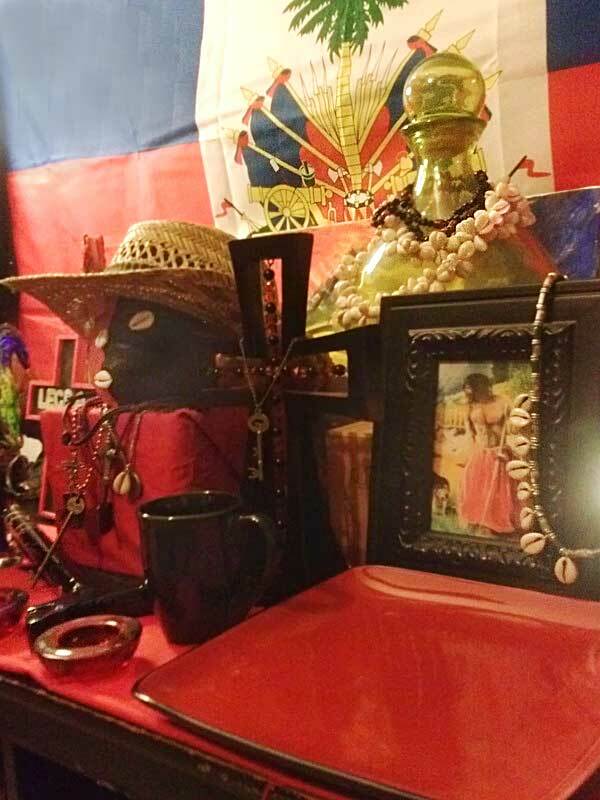 If you have a request for Papa Legba & would like to also send him an Offering we will gift him on your behalf. You will need to tell us your request & Full name. We ask a minimum of $2.00. You may increase the amount at your discretion. 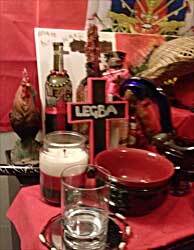 Papa Legba's days are Saturday and Monday. His colors are black and red, and his number is 3. 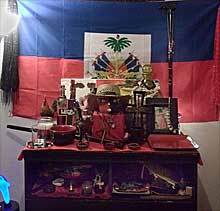 Some popular offerings for him are black coffee, rum, coconut, cigars, pipe tobacco, peanuts, pennies, small sweets & breads. 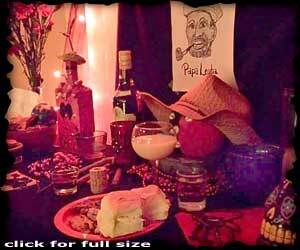 Voodoo Papa Legba is usually depicted as an older black gentleman. He wears a straw hat and usually has a wooden walking stick. 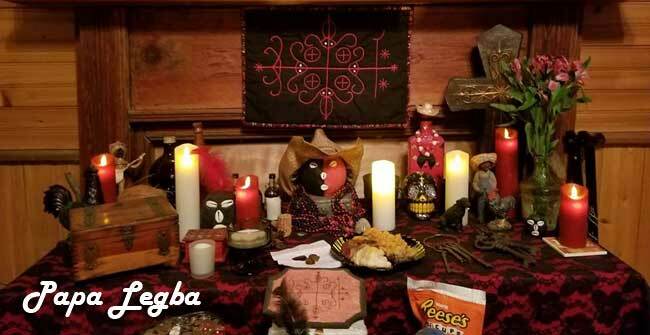 Papa Legba can assist in many areas of your life from help finding work, what direction to take in your life, he is a compassionate Grandfather type and is there to help you through. He can be funny and he does love to play tricks but, if you are in need of help in most aspects of your life he is a great ally to have. 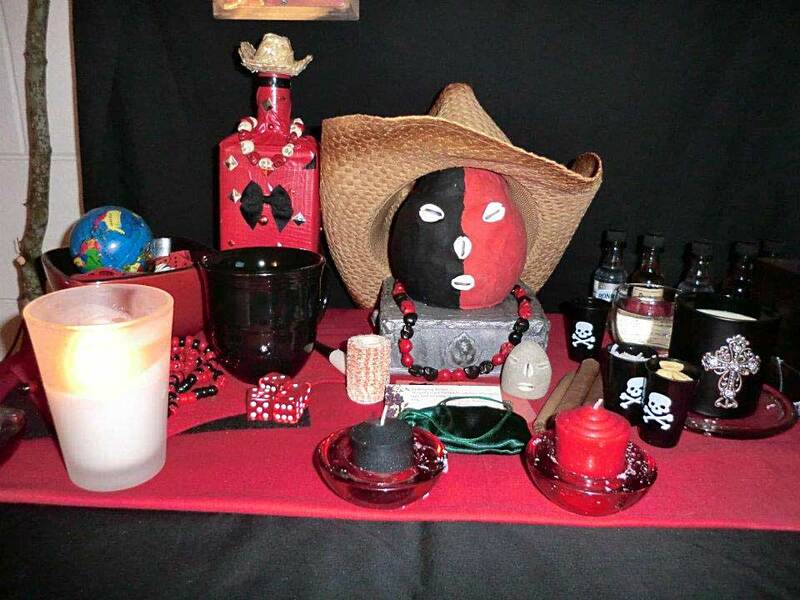 He is also the Lwa of Communications because without Papa Legba you cannot communicate with any other Lwa as he interprets your words so they may understand. 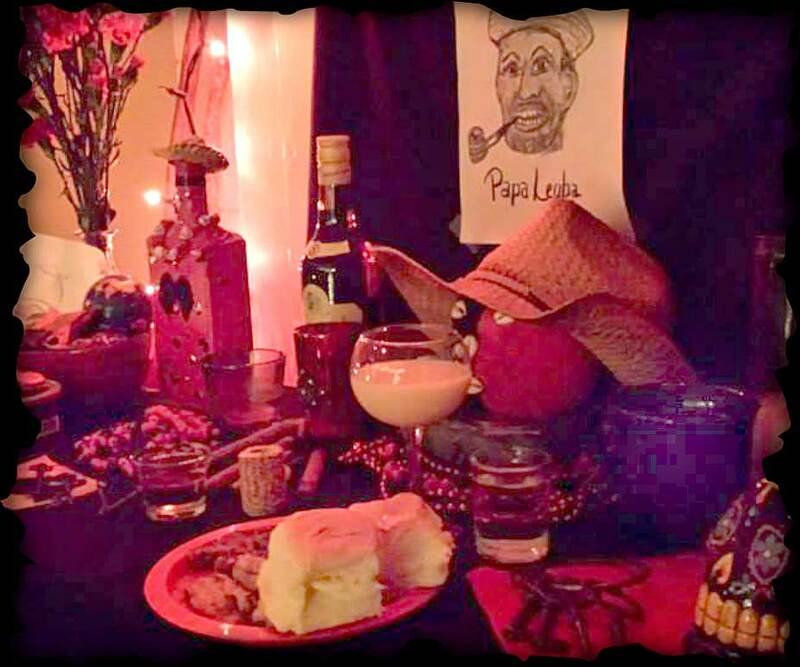 Although Papa Legba does not expect much we feel he deserves only the best. Papa Legba, open the gates. Your children are waiting. Papa Legba, open the gates. Your children await. 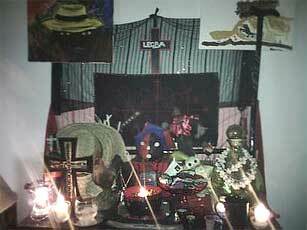 Papa Legba, open the gates, Your children are waiting. 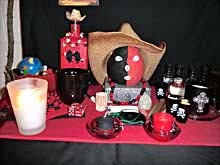 Do not forget to ask him to close the gates at the end of your rituals as well as Thanking the Lwas invoked including Papa Legba. It must be kept clean & be maintained respectfully. Click the the link below for a video on how you do it properly. .... as well as gifts and offerings that have been gifted to Papa Legba. Handmade cross to represent the Cross roads, a walking stick, Haitian Flag are just to name a few.